Last chance to come along and have a look during filming…. A new BBC Food Series is being filmed at Town End Farm Shop in Airton near Malham in the Yorkshire Dales. Fledgling food producers from across the country will compete to become The Finest in the Deli. Small food producers will sample there wares at Town End Farm Shop and try to impress customers and Judges alike. Presented by 2 Michelin star chef Tom Kerridge and Judges Nisha Katona & Alison Swan Parente the food producers will try and wow locals with artisan food and drink. 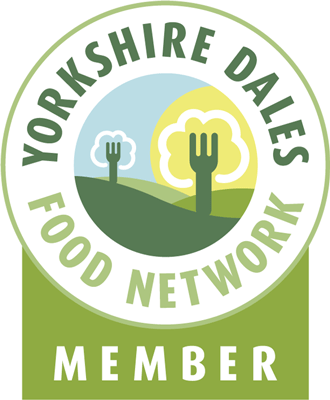 Filmed on location at the farm shop based in Malhamdale in the Yorkshire Dales the show will not only highlight the fantastic produce but also the beautiful surroundings of Malhamdale and The Yorkshire Dales. Scheduled for airing April 2018. Commissioned by The BBC and produced by Studio Lambert. This entry was posted in bacon, Baking, charcuterie, cheese, chefs, Competitions, Eating, Events, Farm, farmers market, Food, Food Competitions, New Products, TV, Yorkshire, Yorkshire Dales Food and tagged alison swan parente, artisan food, bbc, bbc2, chris wildman, judges, mowgli street food, nisha katona, school of artisan food, studio lambert, tom kerridge, town end farm shop. Bookmark the permalink.